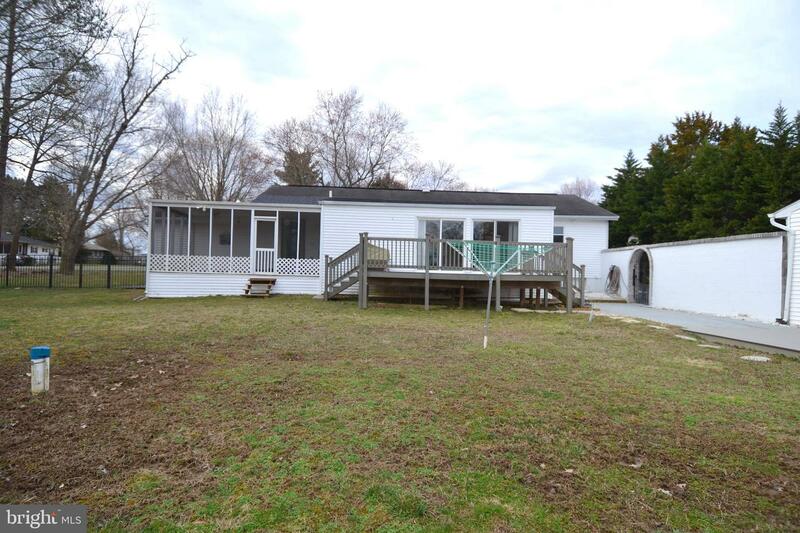 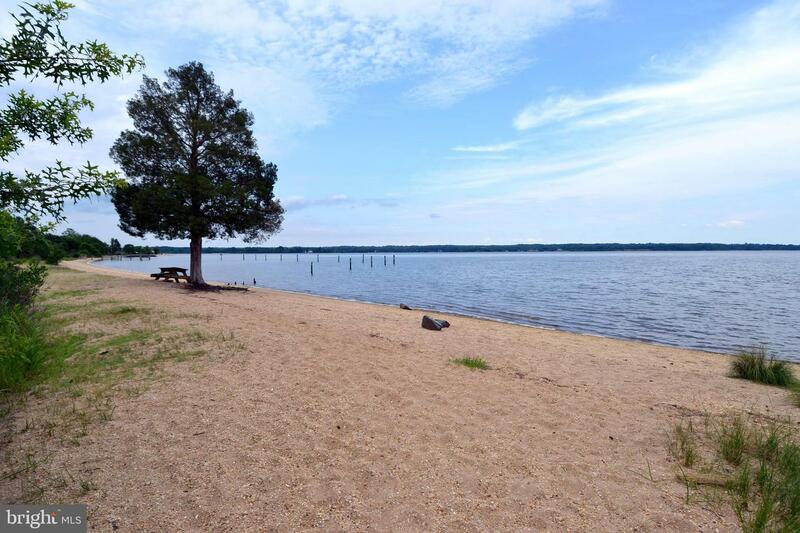 This single-family home is located in a great, water-privileged community! 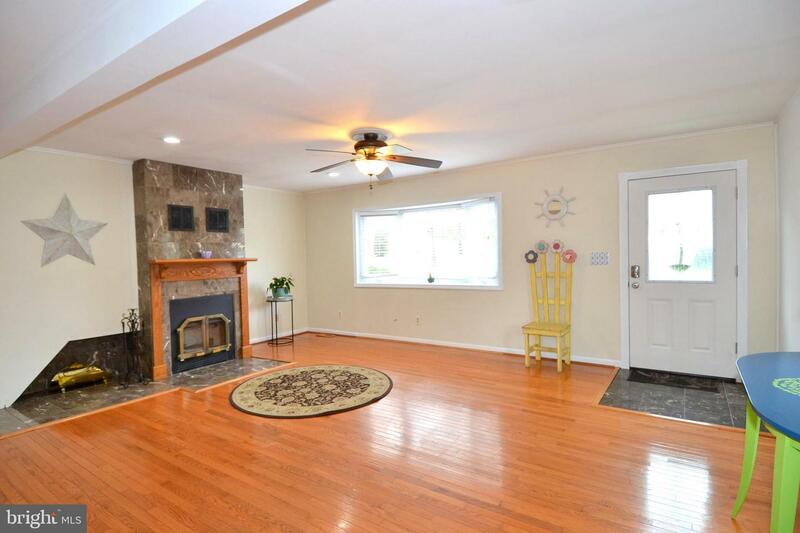 Entering through the front door you will notice the open living room with hardwood flooring, a wood-burning fireplace and plenty of natural light from the front bay window. 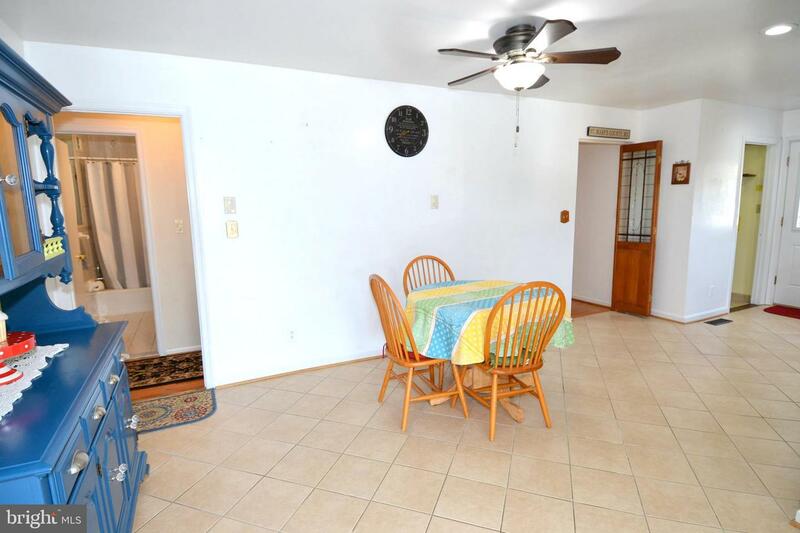 Moving forward you will see the dining area, also with hardwood floors, as well as recessed lighting. 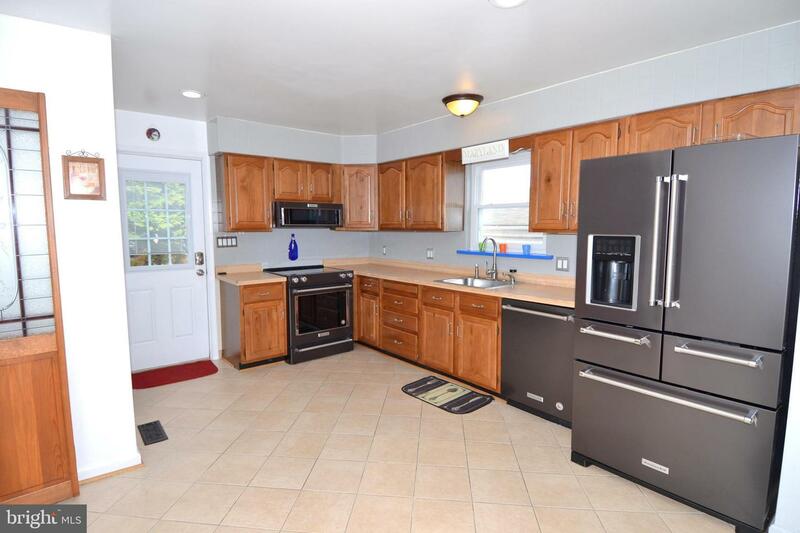 Ahead is the fully equipped kitchen. 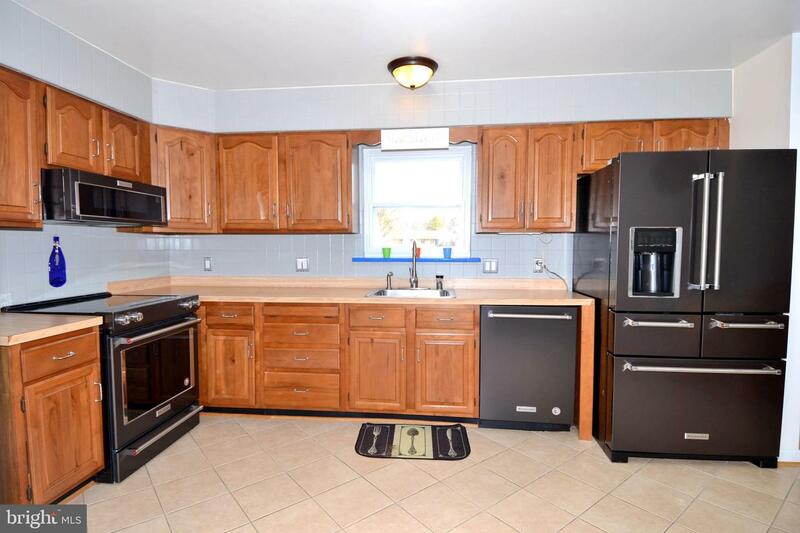 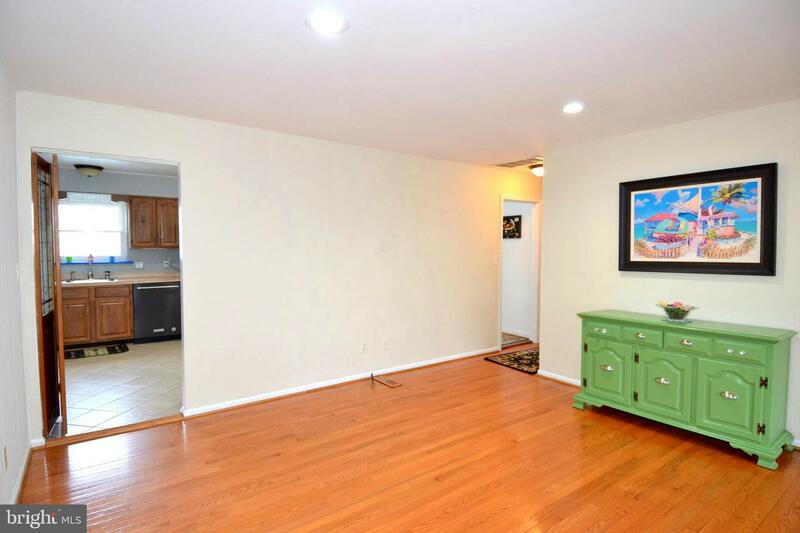 The kitchen boasts new appliances, wood cabinets, tile flooring, and a large breakfast area. 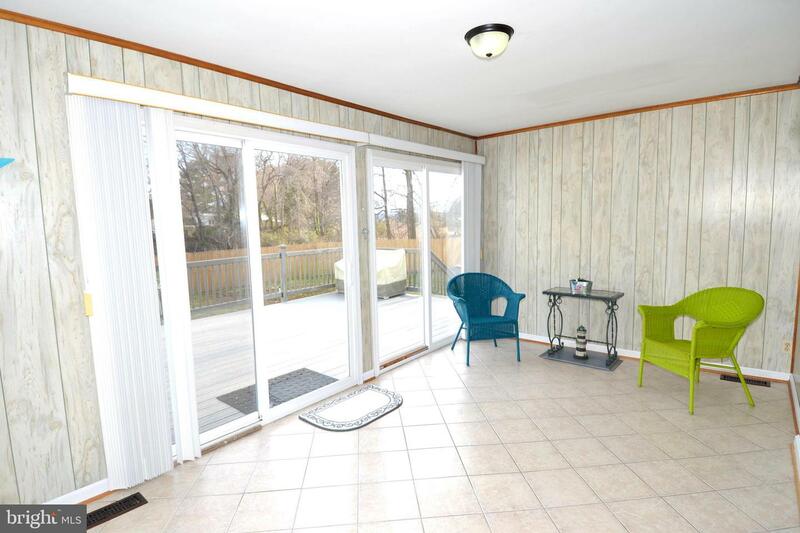 Off of the breakfast area you will find the bright sunroom that features three sliding glass doors that lead to the rear deck, as well as tile flooring and overhead lighting. 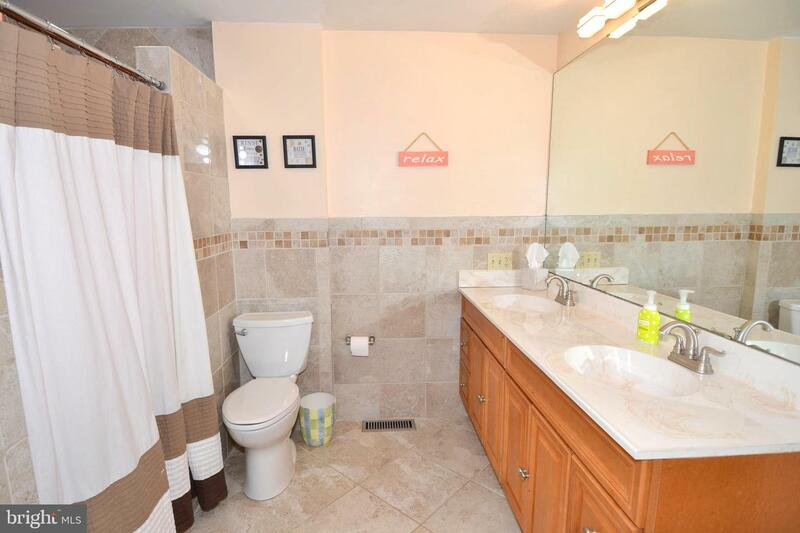 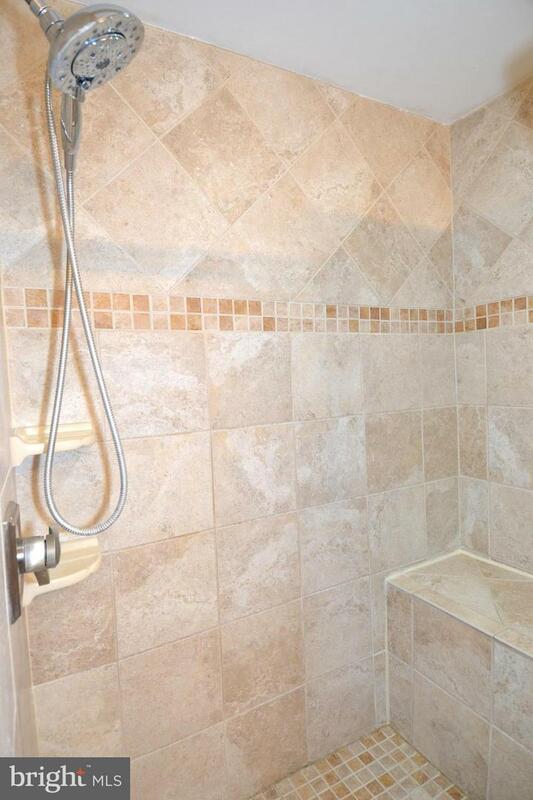 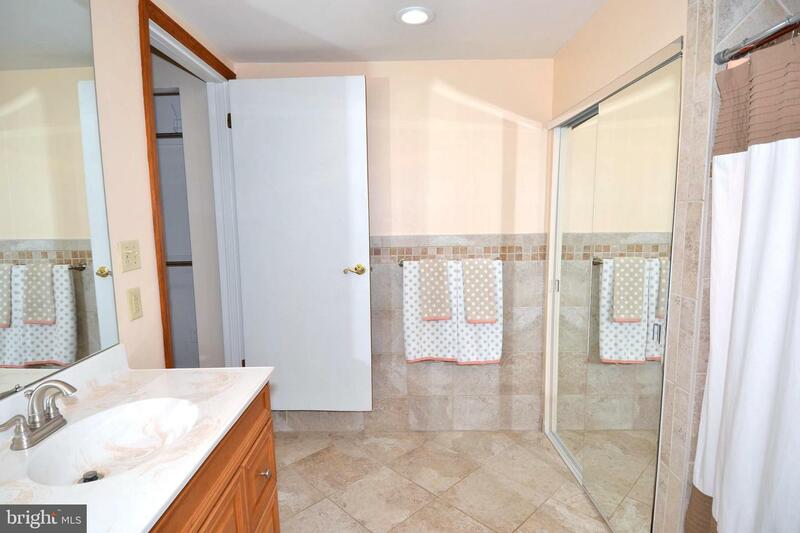 Making your way down the hall you will pass the updated hall bath and find the large master bedroom on your left. 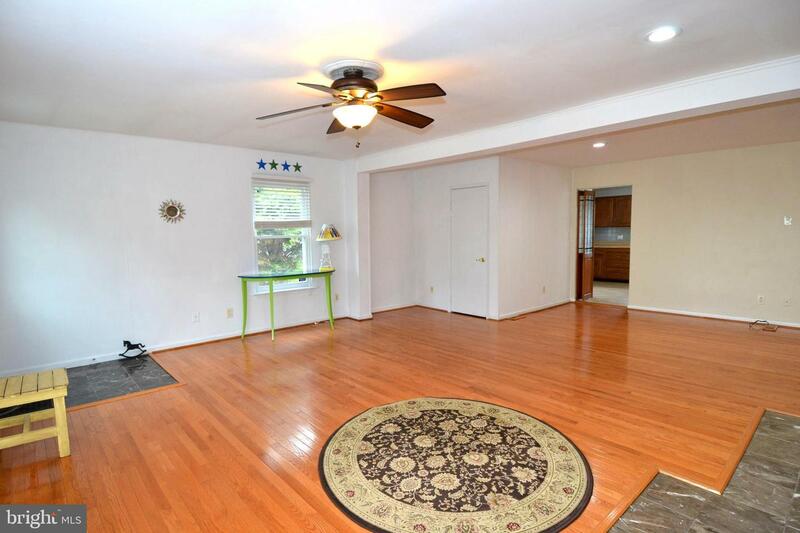 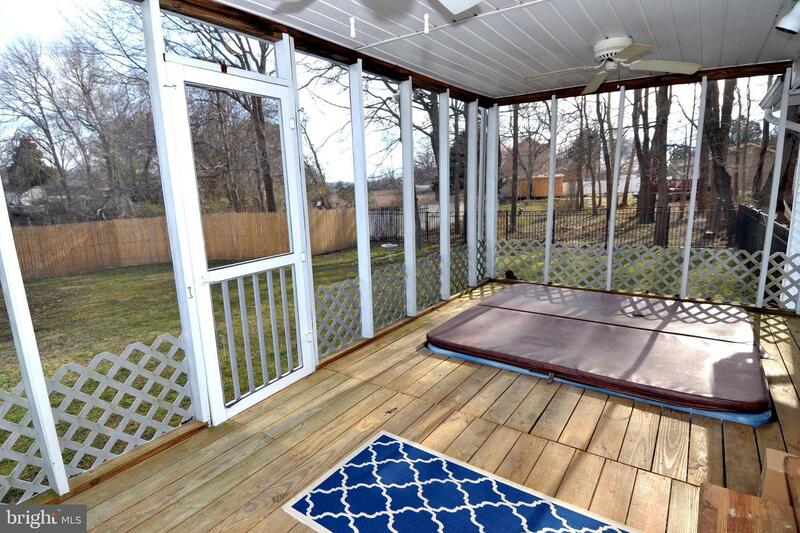 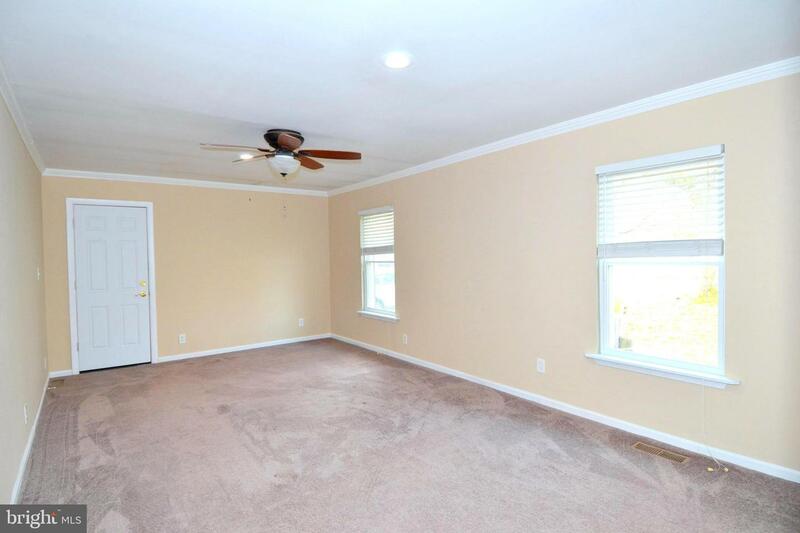 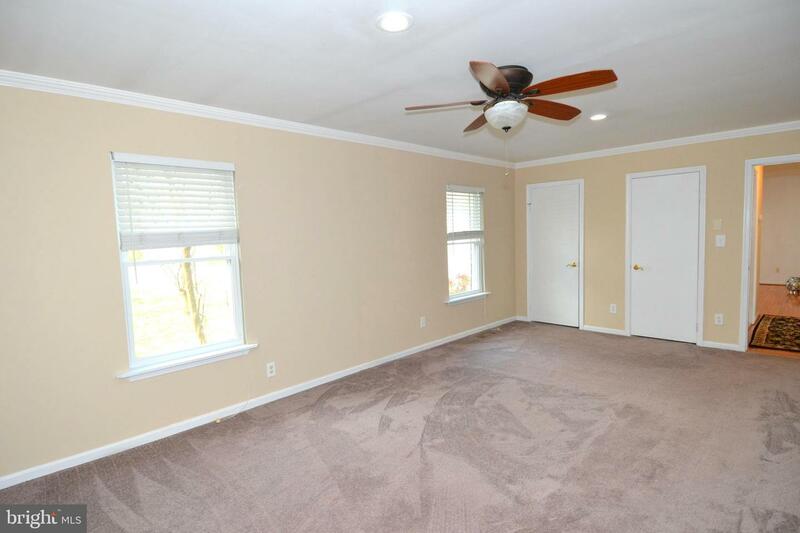 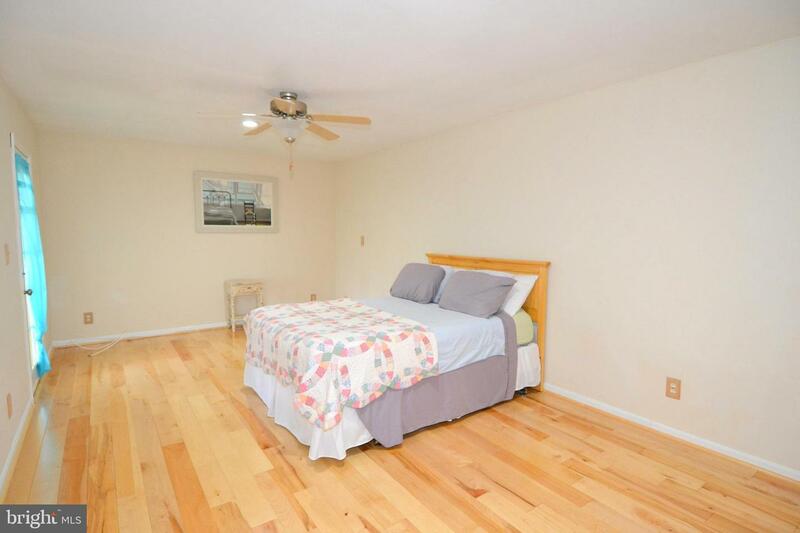 This big bedroom features hardwood floors, dual closets, a ceiling fan, and access to the screened-in porch. 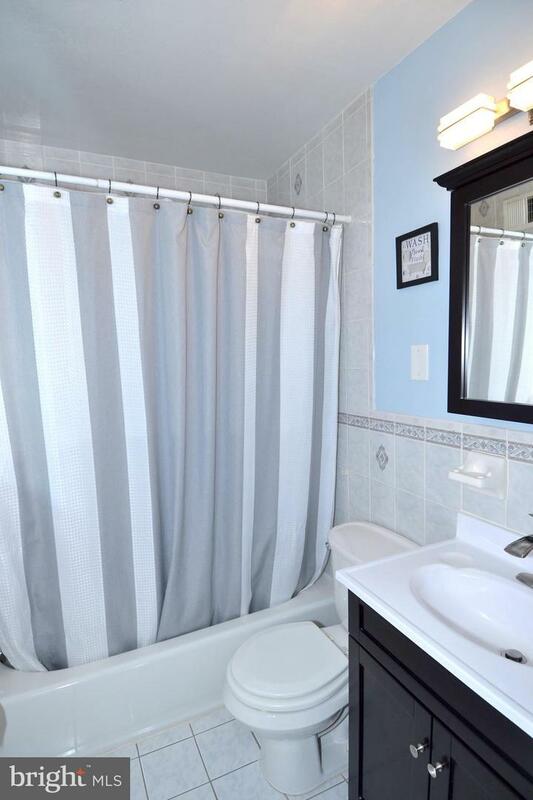 There is also a private full bathroom that offers a dual sink vanity, shower with a built-in bench and another closet! 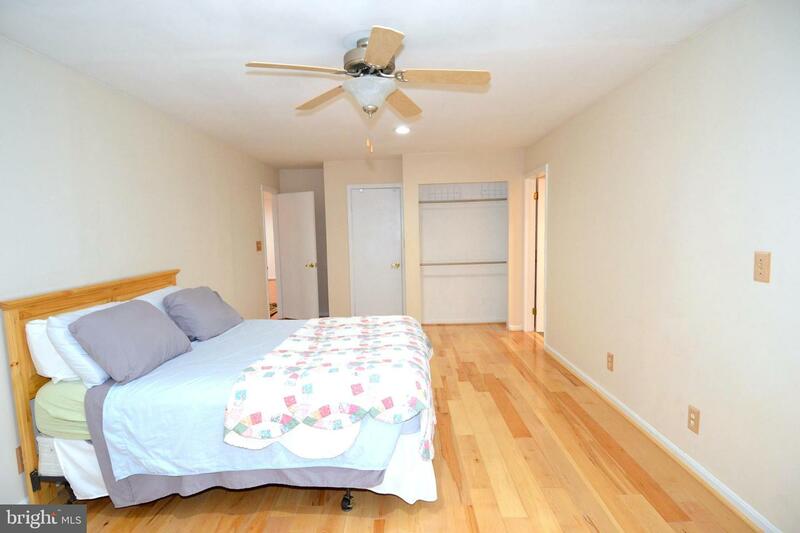 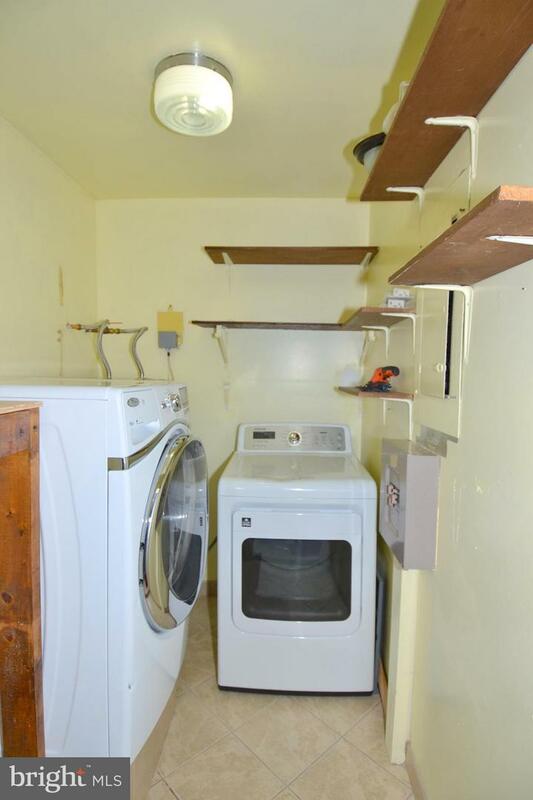 There is also another bedroom located nearby, also with dual closets, wall-to-wall carpet and a ceiling fan. 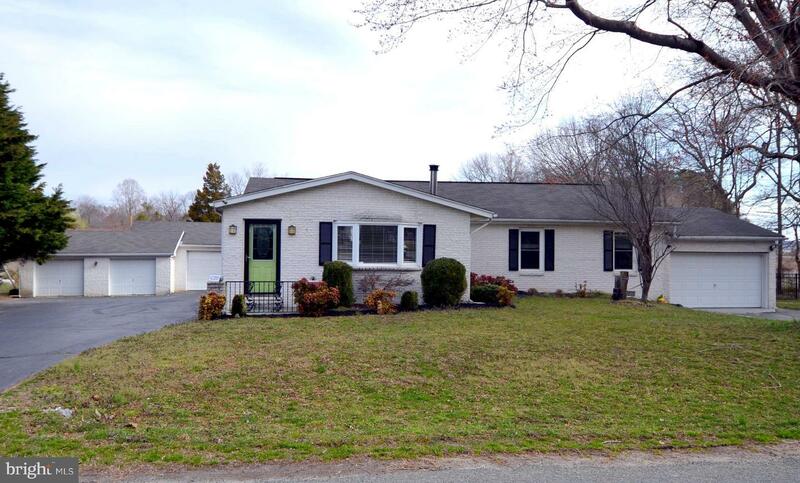 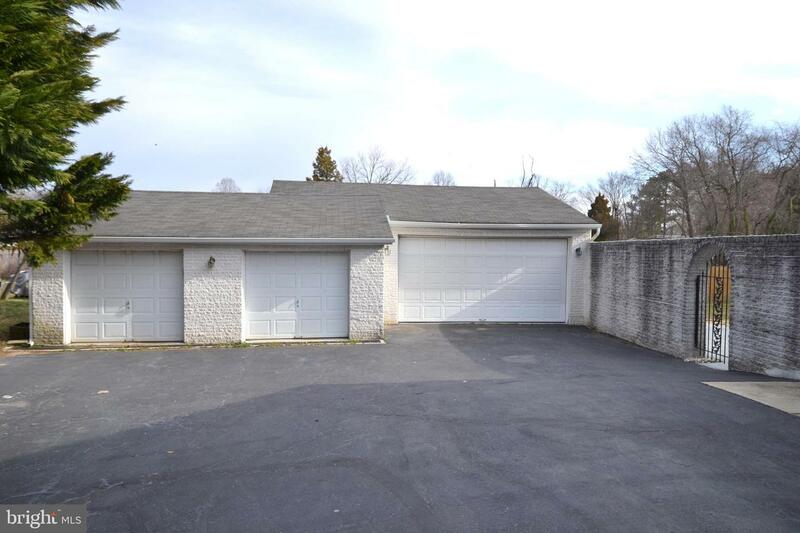 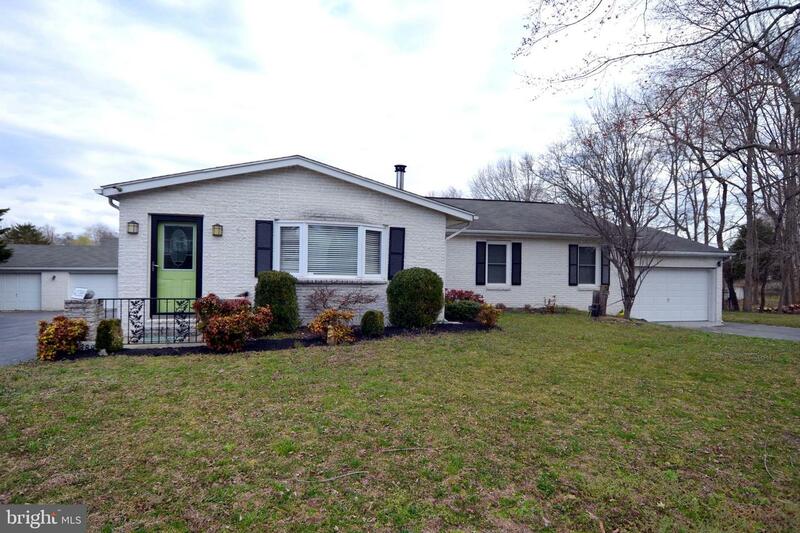 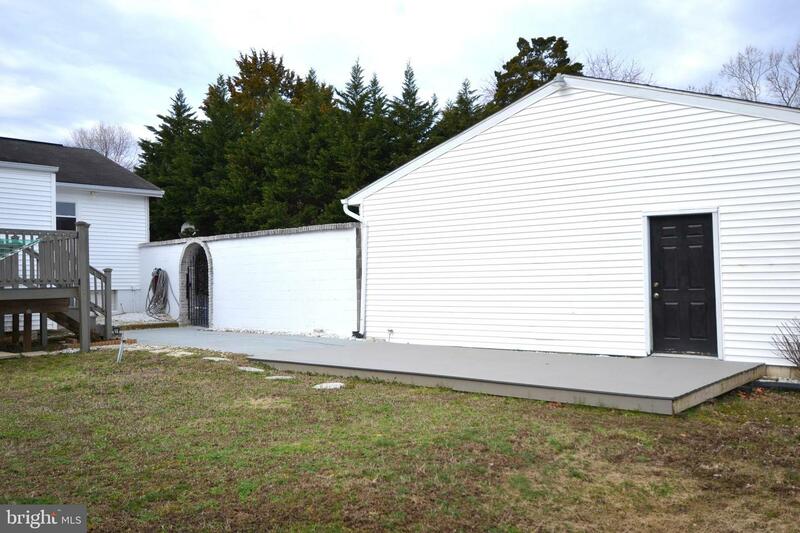 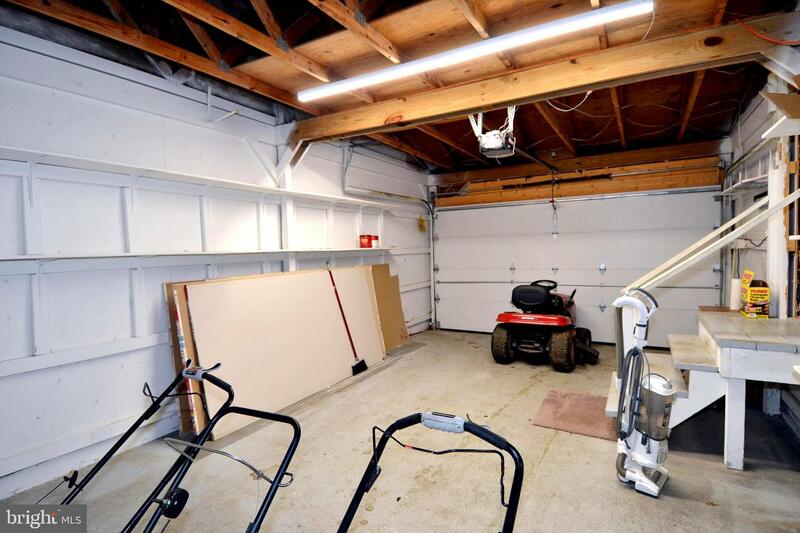 The exterior of this home includes a one-car attached garage, an oversized rear deck, a fenced backyard, two paved driveways, and a four-car detached garage! 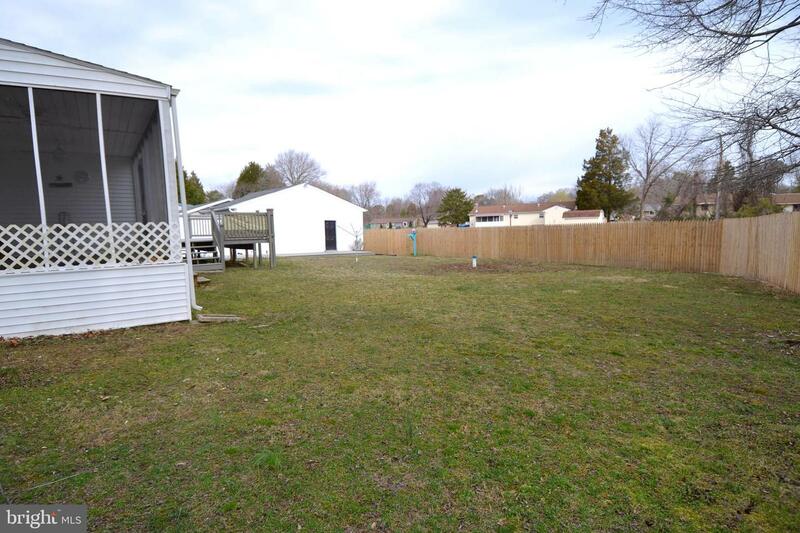 The adjacent .52-acre wooded lot also conveys with the property! 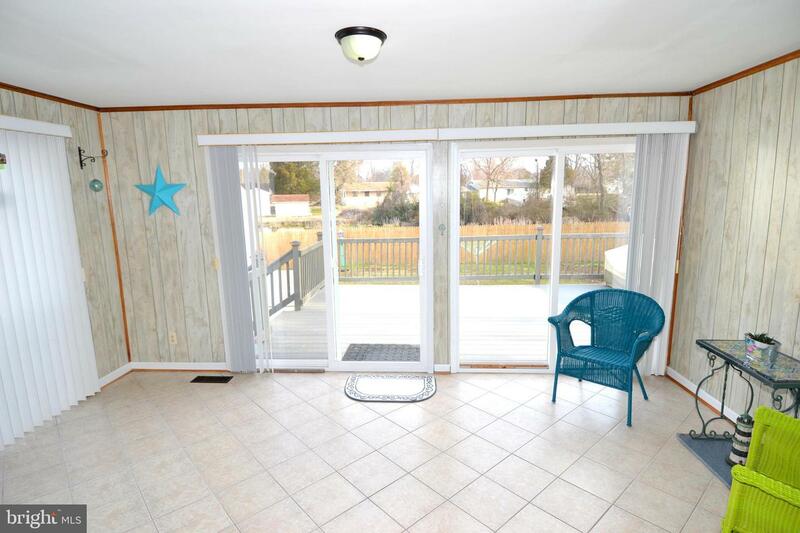 This home is located within walking distance to one of the five community beaches! 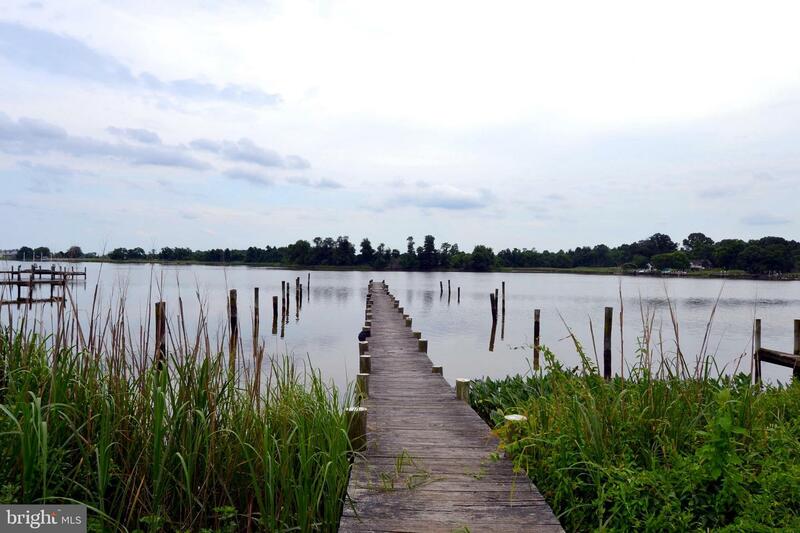 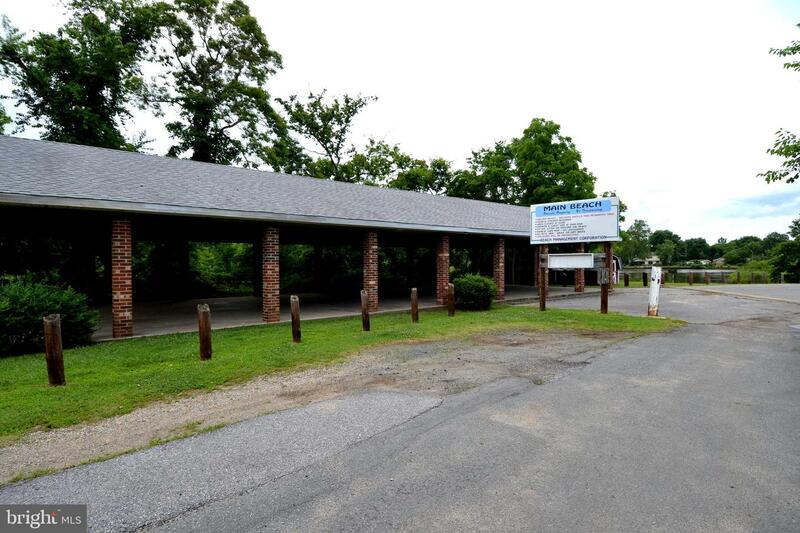 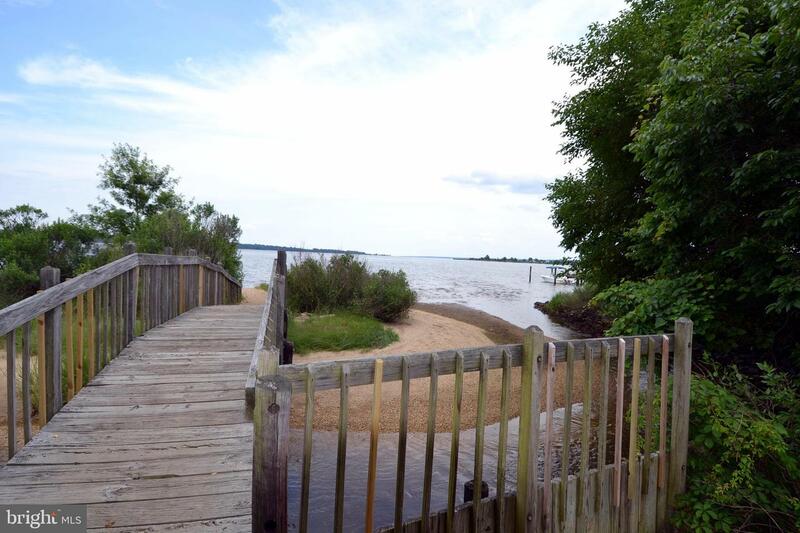 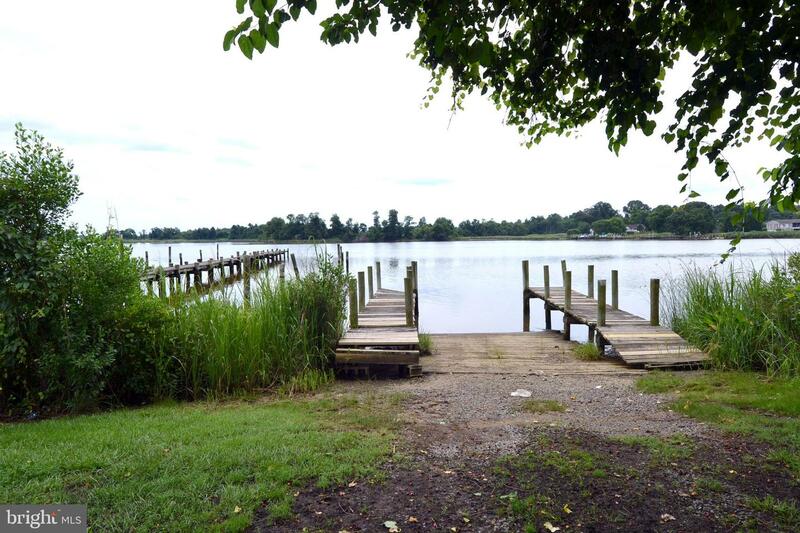 Golden Beach also offers a community pier, picnic area and much more! 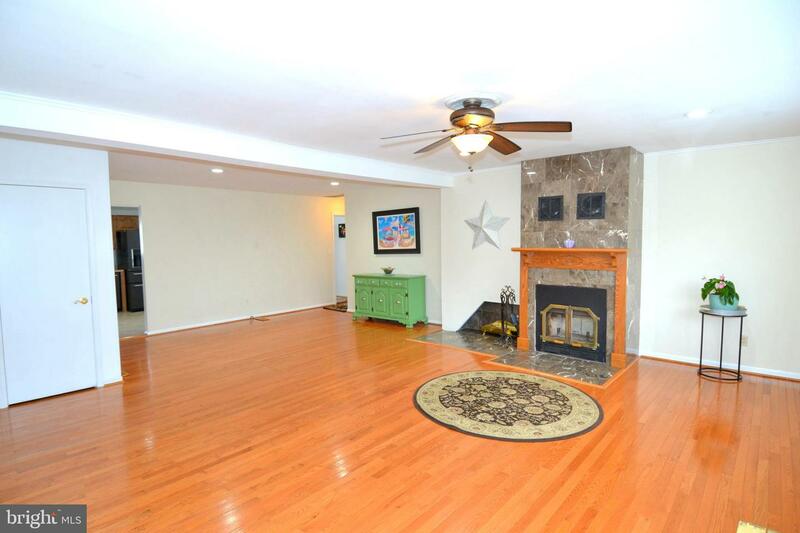 This home is also close to plenty of restaurants, shopping & entertainment! 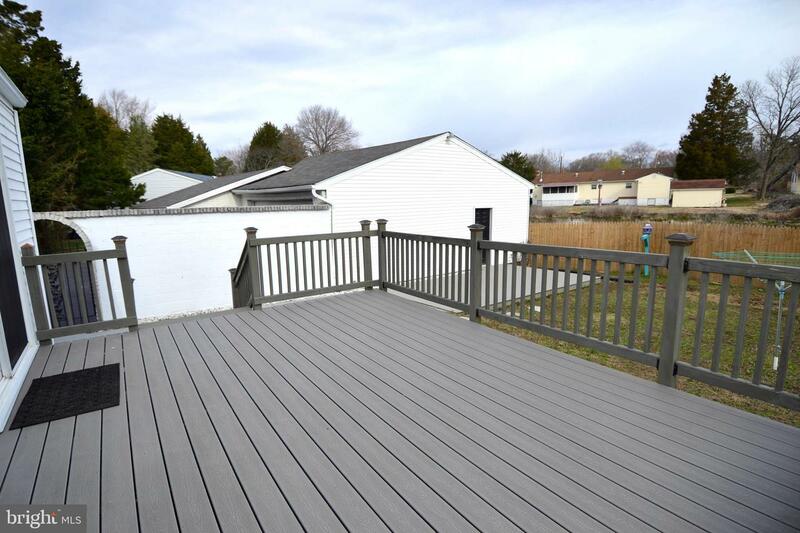 You can purchase this home with added peace of mind as a one-year First American Home Warranty is being offered.